NC Magnet junior, Michayla Cherichel is a returning member of the Chant staff, a position she first entered in the spring of 2018. After taking a semester off to focus on other interests and priorities she is eager to resume reporting. Michayla has a deep love for babies and children, and spends much of her free time caring for them and babysitting. For the past two summers, she has volunteered as an assistant preschool teacher at Vacation Bible School camp at Westside Baptist Church in Mableton, GA. She enjoys this because it adds to her experience with young children, a demographic she looks forward to working with in the future. Michayla plans to begin applying to colleges in the fall of this year and hopes to attend Florida A&M University, a historically black university, in the footsteps of her mother. There she will pursue a bachelor's degree in health sciences and later, a doctorate degree in physical therapy. After college, Michayla plans to work as a pediatric physical therapist, with a focus in neonatal care. 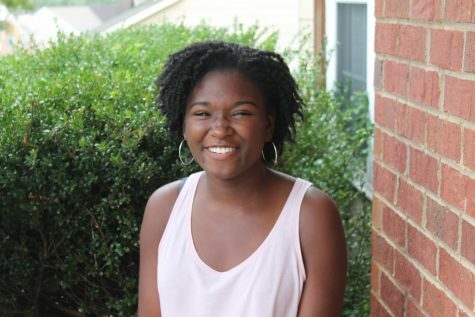 When she is not babysitting or doing schoolwork, Michayla enjoys spending time with her family and friends, attending church, gazing at the stars and moon, indulging in music and books, learning Spanish, and watching movies.